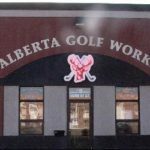 The latest in club fitting technology is in effect at Alberta Golf Works, where KZG Certified Master ClubFitter Rick McKenzie and his son Jordy McKenzie have brought true custom fitting to Central Alberta for the past 25 years. In addition to using a computerized simulator that gives a visual representation of ball flight, the McKenzie’s gather precision shot data — ball speed, launch angle, spin rate – using a state-of-the-art launch monitor. Shaft performance is then measured using an analyzer, to the end goal of amassing all the information necessary to create a set of clubs that fits the golfer perfectly. The McKenzie’s commitment to excellence is why over twenty local golf courses rely on Alberta Golf Works for their fitting, building, and repair needs. It is also why Rick has been rated a World’s Top 100 ClubFitter 2006-2014 and Jordy has been a Top 100 ClubFitter for the last seven years (2012-2018). 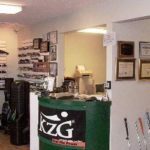 Alberta Golf Works also features a showroom fully stocked with KZG equipment and accessories, so stop by today and start playing a better game. 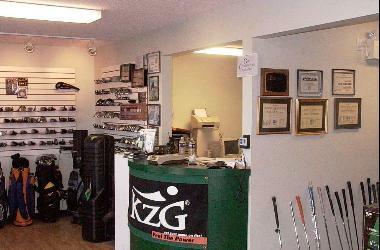 Rick plays our KZG EVO Forged Irons, VC-F Fairway Woods, Sniper wedges, and the H370 Tour Hybrids. Jordy plays our KZG OC-II Irons, X-95 Wedge and Q Driver. Carter Graph, a 16 year old, is ranked the #1 Junior in Canada by order of Merit. Guess what? He is wearing out the sweet spot on his KZG ME-1 Forged Irons. He carries his #7 iron 200 yards! Carter has also added the LDI Driving Iron to his bag. Miura and PXG have both contacted Carter in regards to playing their product. Guess what? He loves his KZGs and no amount of bribing and cajoling will change his mind. Carter states: “The KZG ME-1 Irons are the best irons I have ever hit.” He has tried all of the new demos from PXG and Miura….and KZG is still the very best. 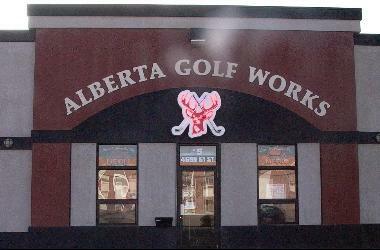 Carter relies on Jordy McKenzie of Alberta GolfWorks www.albertagolfworks.ca for all of his equipment needs and guidance.